Abigail McCormick and Ray Stark are both poets, married nearly twenty-five years in what has always been a passionate relationship despite deep class differences. Ray is the son of West Virginia coal miners and was abused as a child—but now he is a distinguished poet with a part-time position at Brown. Abby grew up in San Francisco’s posh Pacific Heights and, having abandoned poetry, she spends her energy on a new teaching position at UC Berkeley. Abby’s decision to accept the post sets the stage for Ray to stray, especially as he struggles with a heart condition. He’s tortured by his affair with the graduate student he’s fallen in love with, but is determined to stay married—he fights to get over Tory for years. A despairing Abby finds solace in her return to riding horses and writing poems, but as she suffers privately, she becomes dependent on sleeping pills and alcohol. Ray’s health worsens—proves nearly fatal—and another cross-country move threatens to push them further apart. 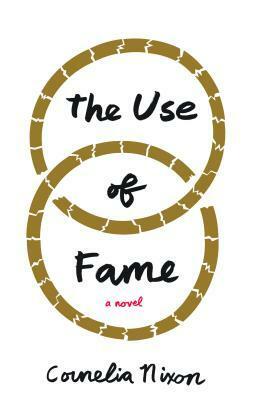 Alternating seamlessly between Ray’s and Abby’s perspectives, The Use of Fame is a gripping exploration of how closeness and despair can warp a lover’s perception. Ray is a renowned poet that teaches at Brown in Providence and Abby who teaches at UC Berkley. Their cross country marriage is both comforting and straining. Ray is torn with his affair with a younger student and health condition. Abby looks to her horses, alcohol, and sleeping pills for solace. This is a marriage stretched to its limits and yet one just can’t seem to leave the other. This is a heartfelt story of two people trying to keep their marriage going when it is clear that things are falling down around their heads. Ray falls for Tori because he feels Abby is neglecting their marriage. Abby learns of Tori and feels that she is too needy and pushed him to another woman. They try to plan moving together to a potential teaching job for Ray in Florida but that falls through too. I will admit that sometimes I like contemporary romances and figured that I will give this story a shot. I’m sorry to admit that I was about done with both of them. I understand how it’s easy to get wrapped up with yourself when you are not around your significant other like Ray and Abby. But I was just done with the whole thing even if they were too comfortable with the situation to get out. Over all I think most people will enjoy it so don’t take my whining as something wrong with this book. It was just me. 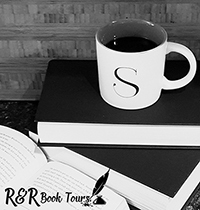 I received The Use of Fame from Sherri Rosen Publicity for free. This has in no way influenced my opinion of this book.